Click for 3 FREE instant home values. NO personal information required! Our real estate agents specialize in Vancouver WA, Camas, Washougal, Ridgefield and Portland, Lake Oswego and Beaverton, Oregon. Whether you are buying or selling a home, we provide the highest level of service in the industry, to ALL of our clients. Born and raised in Southwest Washington and licensed in both OR and WA, our team is dedicated meeting and exceeding our clients expectations in every transaction. We are in the business of creating a great real estate experience from beginning to end, as we want life long clients. The large majority of our real estate business has come from satisfied past-client referrals. We take this reputation very seriously. Our team sells a home or property every 3 days on average! We are able to put ourselves in our client's shoes and understand that buying or selling a home is a huge investment. Let us show you why our team of real estate professionals truly are the best. Contact us today to learn more about what makes us different. Ready to Sell your Home? We Sell A Home Every 3 Days On Average! Buying a home? Why not take a few minutes to fill out a form that describes what you are looking to buy, and see if we can’t find a matching property? Want to know what your home is worth? 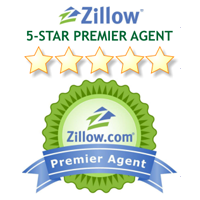 Let our experts prepare a free home analysis for your Northwest home! Just fill out our form and we will create a personalized home value report just for you! ! No matter what your real estate goals are, we’ve got exclusive tips and extensive industry knowledge you can immensely benefit from! Read these guides before you buy or sell a home.